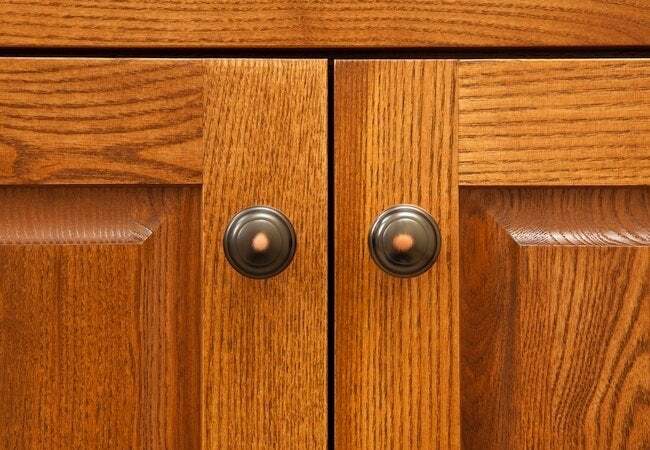 Whether you decide to install new cabinet doors or simply refinish the existing ones, Eldredge cautions that when it comes to selecting cabinet hardware, it’s a mistake to “focus on aesthetics alone.” To prove satisfactory over the long term, new hardware must do more than merely look good. There are a key practical considerations to keep in mind. Want to learn more about high-impact, low-budget kitchen upgrades? Keep reading! If you decide to install new hardware as part of your cabinet upgrade project, it won’t take you long to realize that, as Eldredge puts it, “Homeowners are spoiled for choice.” With so many compelling hardware options, many find it a challenge to choose from all the available styles and finishes. To make the selection process more manageable, Eldredge recommends narrowing the field incrementally, one phase at a time. 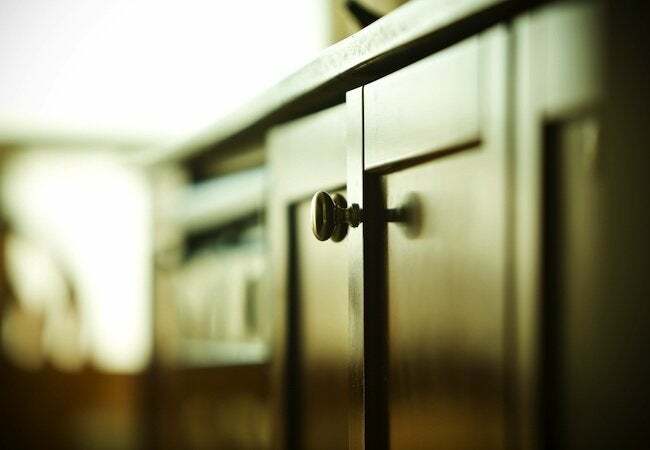 First, he says, “decide which type of hardware to install.” There are certainly exceptions, but conventional wisdom holds that for ease of use, knobs pair best with doors and pulls pair best with drawers. Once you have settled the question of which type or types of hardware you prefer, you can move on to picking a style. To do so, Eldredge recommends taking cues from your cabinets. In a sleek, modern kitchen with crisp, clean lines, “people tend to go with more streamlined, angular hardware,” he says. In traditional kitchens, meanwhile, “You’re more likely to see hardware with finer details and curves.” When you’re updating both the cabinet and their hardware, however, you’re free to consider a virtually infinite number of exciting design combinations. Nothing’s off the table. A similar approach can help you choose not only a hardware style, but a hardware finish as well. For instance, many experts recommend matching the new cabinet hardware finish to the finish of the existing kitchen lighting and plumbing fixtures. Others argue it’s best for the hardware to match the appliances. Still others maintain that, above all, the hardware must complement the color of the paint or stain on the cabinetry. For light-colored or white-painted cabinetry, Eldredge says, “black and stainless steel are among the most popular.” For darker cabinets, on the other hand, it’s wise to “think about oil-rubbed bronze or brushed nickel,” he says. Ultimately, though, when you’re updating cabinetry, Eldredge admits, “guidelines are only guidelines; they can get you only so far.” Given the sheer number of variables at play, the advice and guidance of experienced professionals can be immensely valuable. One advantage of working with a nationwide household name like Sears Home Services is that project coordinators explain all the options for making the most of your remodeling dollar. Want to discuss your kitchen with a qualified expert? Click to schedule a free in-home consultation today! “How the hardware looks—that’s only half the equation,” Eldredge explains. After all, even if you’re not a home chef, “chances are good that you interact with your cabinet hardware morning and night,” Eldredge says. Under the circumstances, it’s only prudent to make sure you like the way a knob or pull feels in your hand as much as you like the way it looks to your eye. To that end, Eldredge says, “I always tell people to test hardware before installing it.” If the hardware pinches your fingers, or if its sharp edges seem likely to cause discomfort down the line, keep looking. You’re not going to be pleased with your choice if you can’t handle the hardware naturally, without a second thought. By the same token, take time to ensure that the size and shape of your chosen hardware suits the heft of your cabinetry. Whereas standard-size knobs usually suffice for doors of average dimensions, more substantial doors and most drawers open more easily with hardware large enough to accommodate several fingers. When you’re updating both cabinet doors and cabinet hardware, therefore, it’s often wise for your decisions about the former to determine or at least inform where you land on questions involving the latter. Finally, recognize the larger context for a cabinet hardware upgrade. Kitchens are heavily trafficked and subject to frequent, hard use, so they inevitably collect grease, grit, and grime. Complicating matters further is that, while it’s easy to spot crumbs and spills on, say, countertops, it’s often not quite so easy when it comes to cabinet hardware. So do yourself a favor and as Eldredge advises, “Factor everyday care into your decision-making.” As much as you may love the look of certain elaborate, intricate hardware designs, it’s worth asking if those special details are worth the extra effort that’d be required to keep them clean. 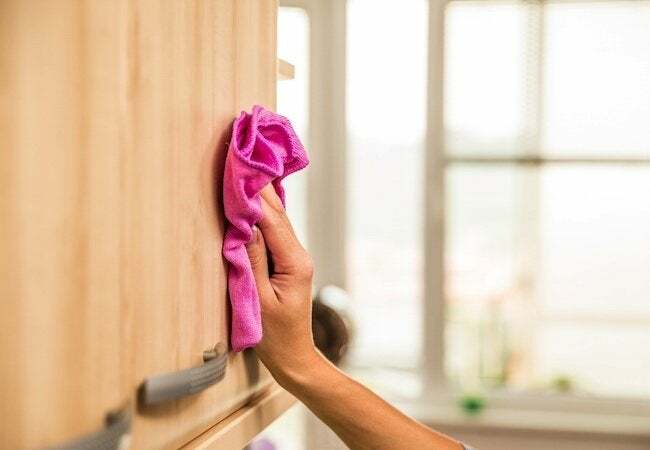 At the same time, being that cooking grease and dirty fingerprints accumulate not only on hardware, but also on the surrounding cabinetry, many homeowners also choose to replace or reface their cabinet doors with a low-maintenance material or finish. After all, you can’t have a kitchen that’s easy to care for if you don’t have easy-care components installed in the parts of the room most likely to experience wear and tear over time. 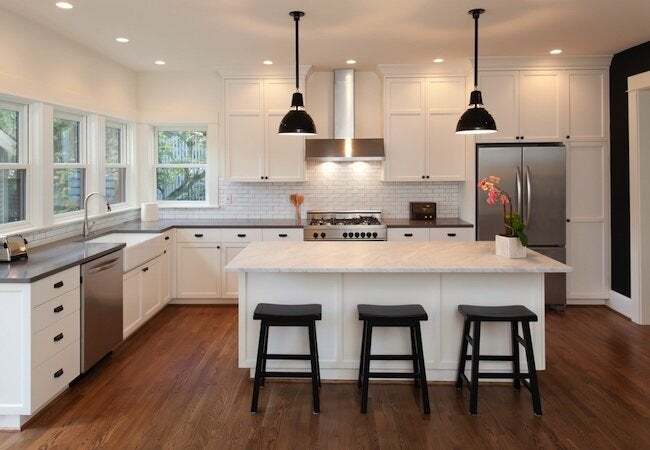 Different homeowners weigh different considerations when planning a budget kitchen upgrade. But no matter the project scope, any given remodel always ends the same way—putting your plans into action. Of course, if you’re only planning to put in hardware of the same type and size as your existing knobs and pulls, then it’s an easy swap that you can probably handle on your own, without a contractor. However, if you want to go a step further, updating not only your hardware but your cabinetry as well, then more often than not, taking the next step means hiring capable pros. Sears Home Services sets itself apart from local contractors in many ways, but not least is that when you work with Sears, whether straightforward or complex, coordinators guide you each step of the way through the remodeling process, from the earliest planning stages all the way through to the completed installation. Normally, when you’re working with a contractor, you have the right to expect the job to get done on time and on budget. But with Sears Home Services, you can expect all that and more—namely, a Satisfaction Guarantee demonstrating a commitment to the lasting success of your project.